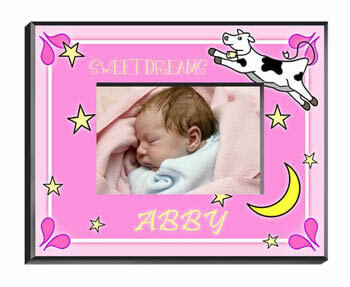 Wish your favorite baby girl Sweet Dreams with this picturesque pink photo frame. The jumping cow of fairy-tale fame soars over the moon and stars, framing your favorite baby girls pretty face. Frame measures 8" x 10" and holds a 4" x 6" photo.